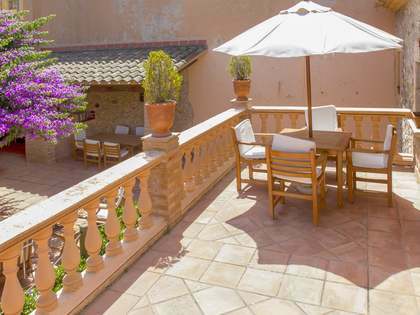 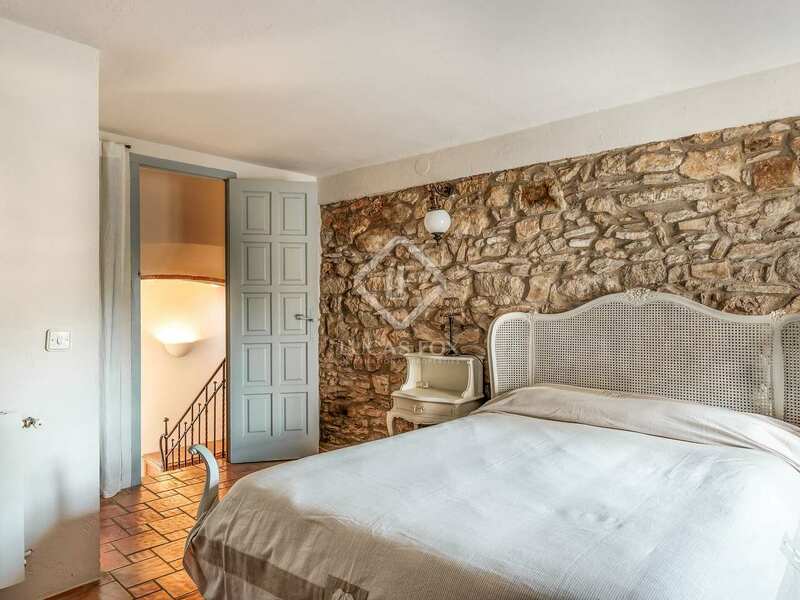 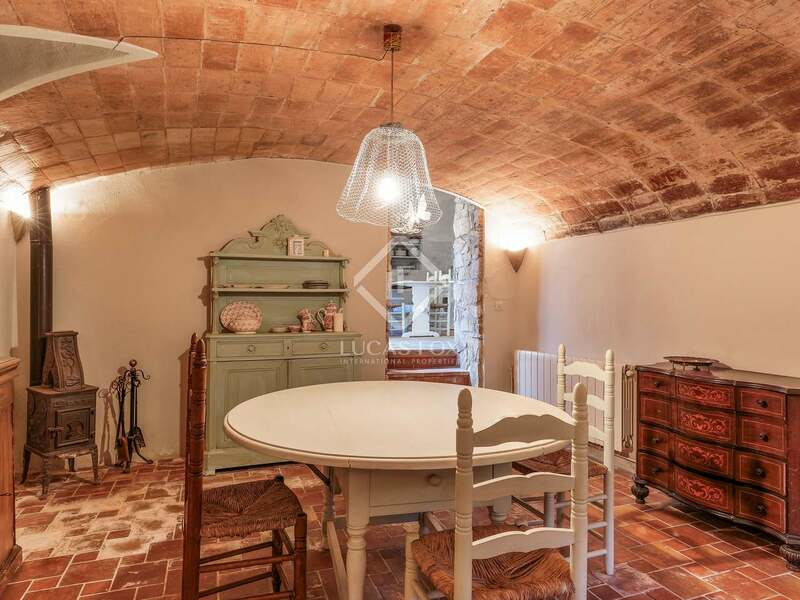 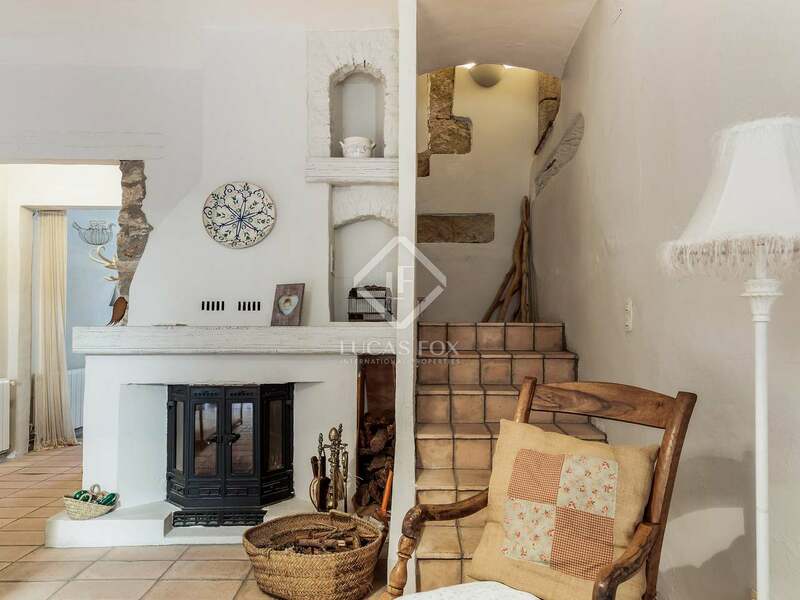 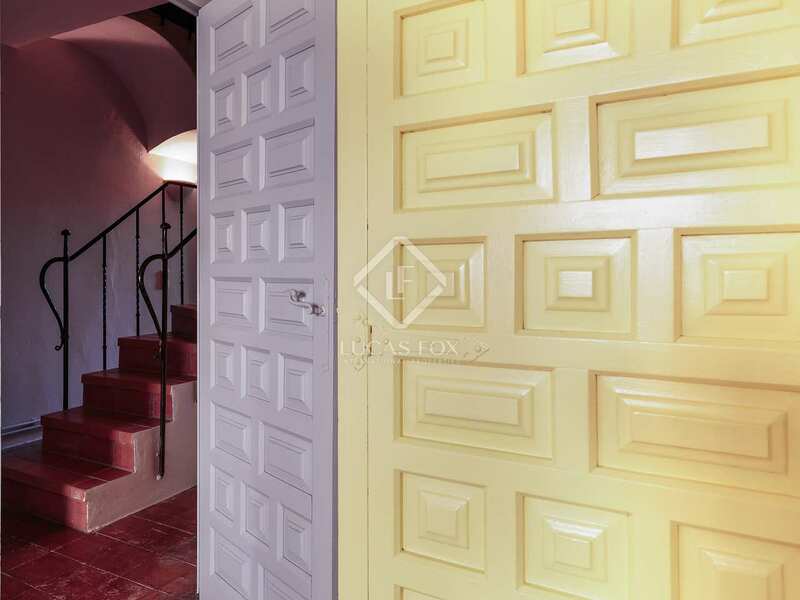 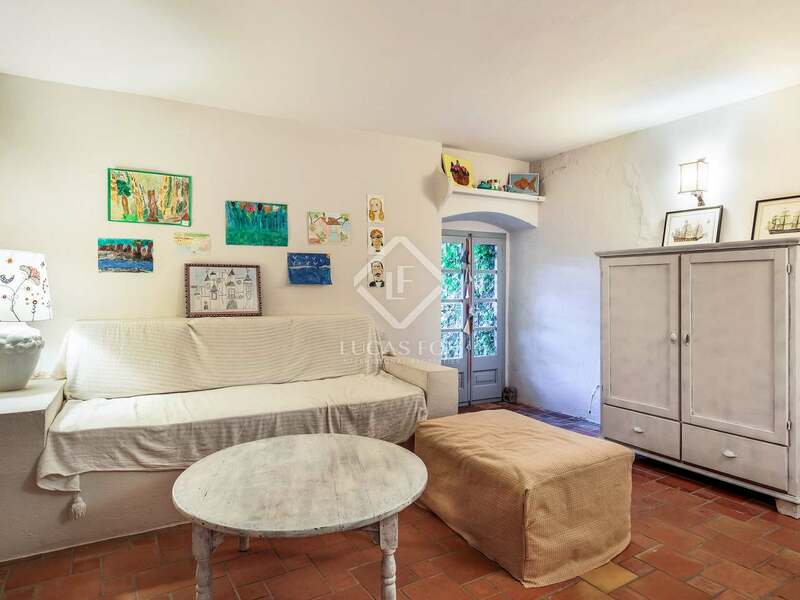 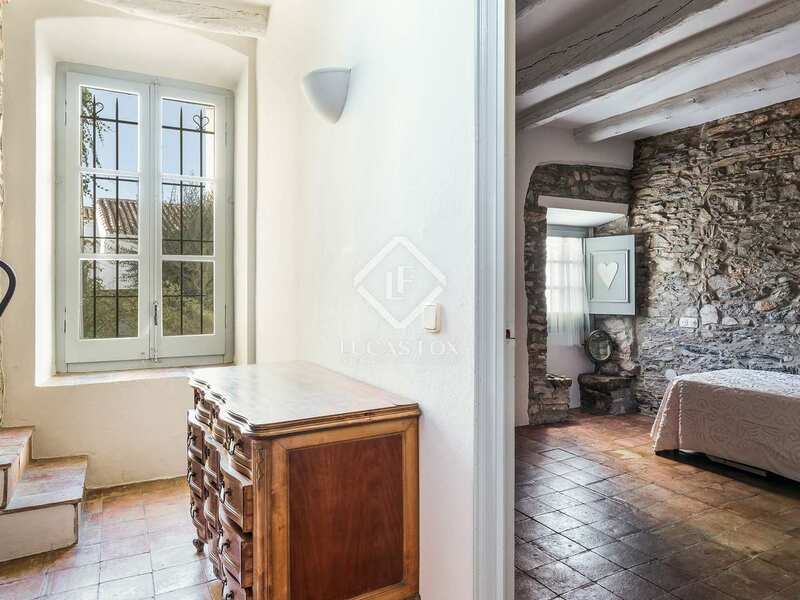 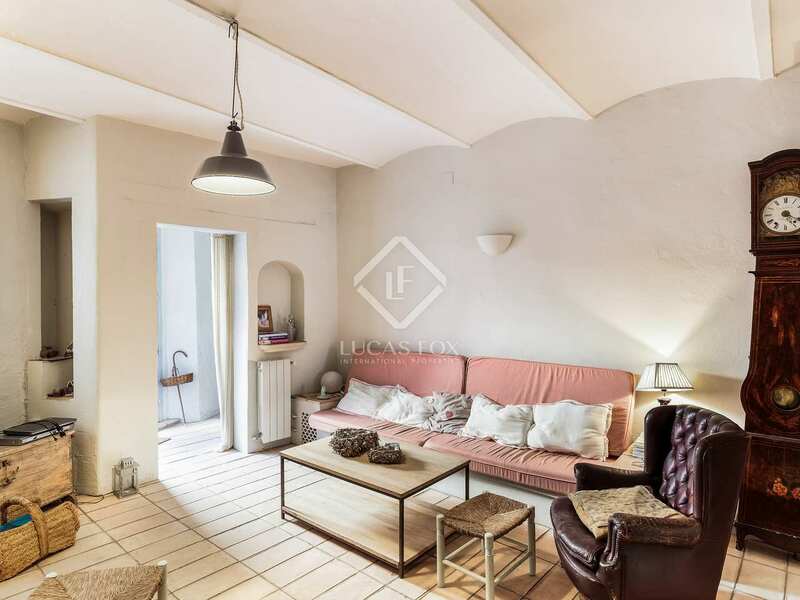 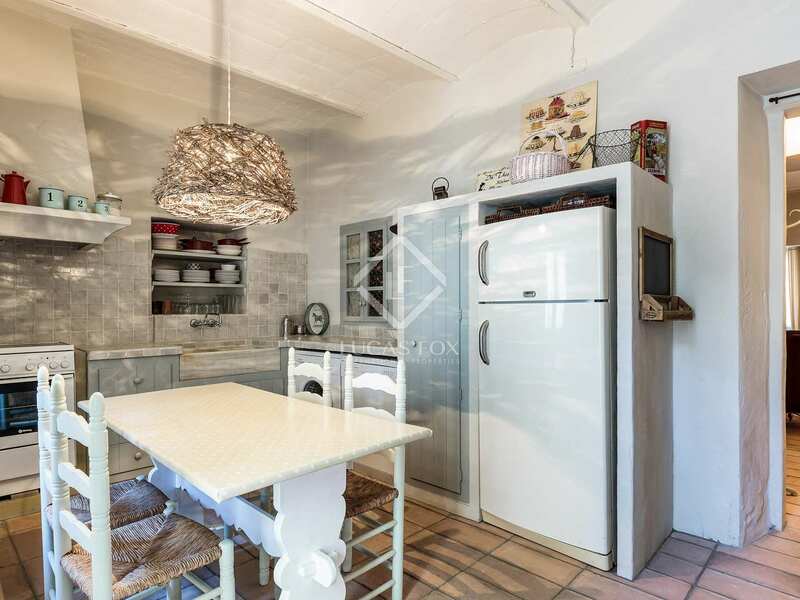 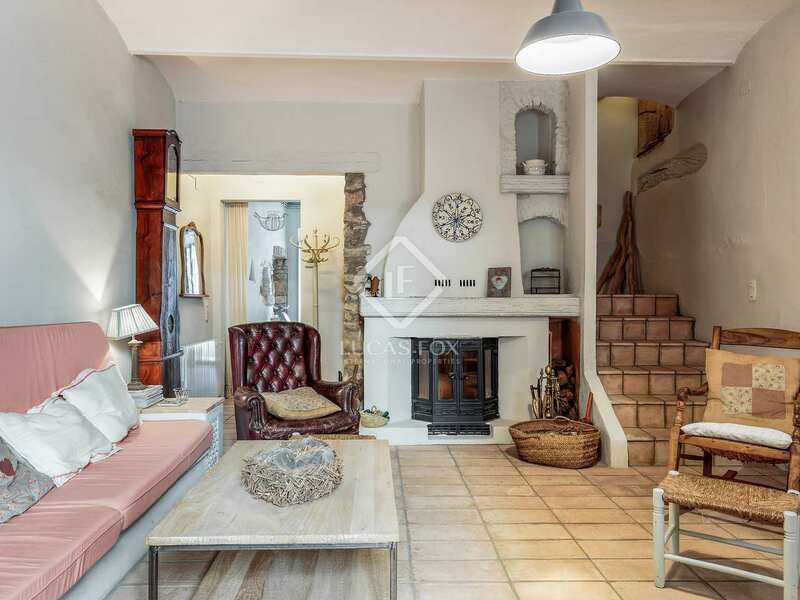 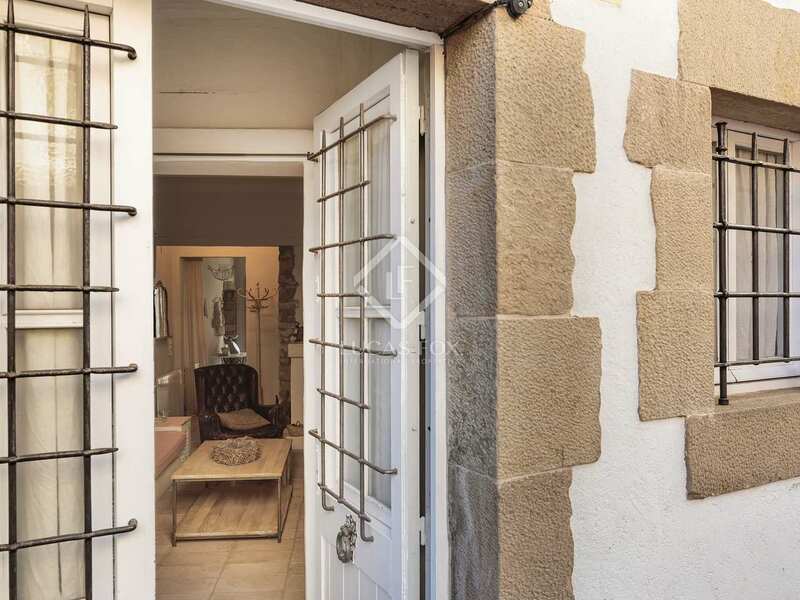 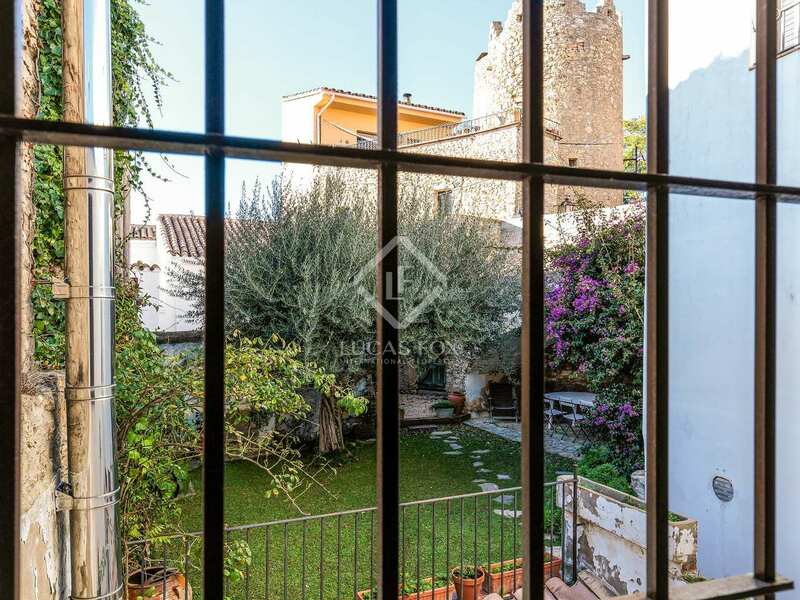 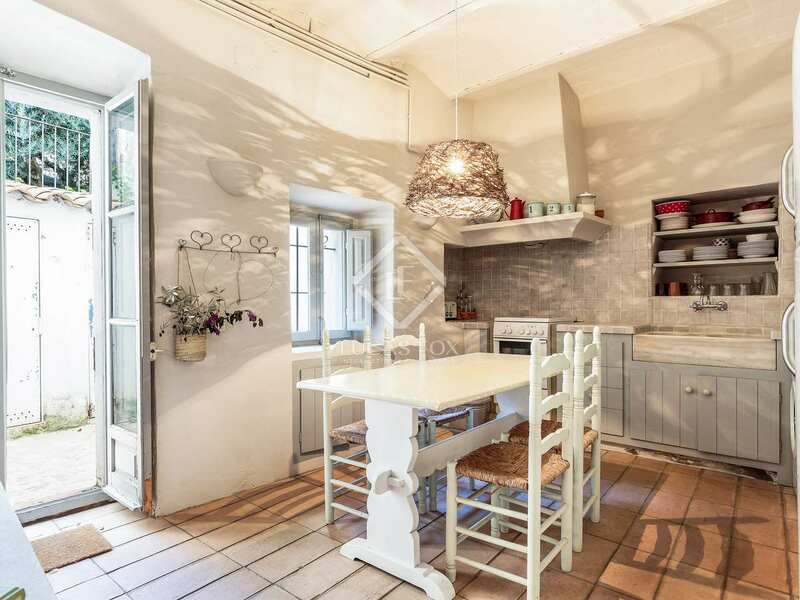 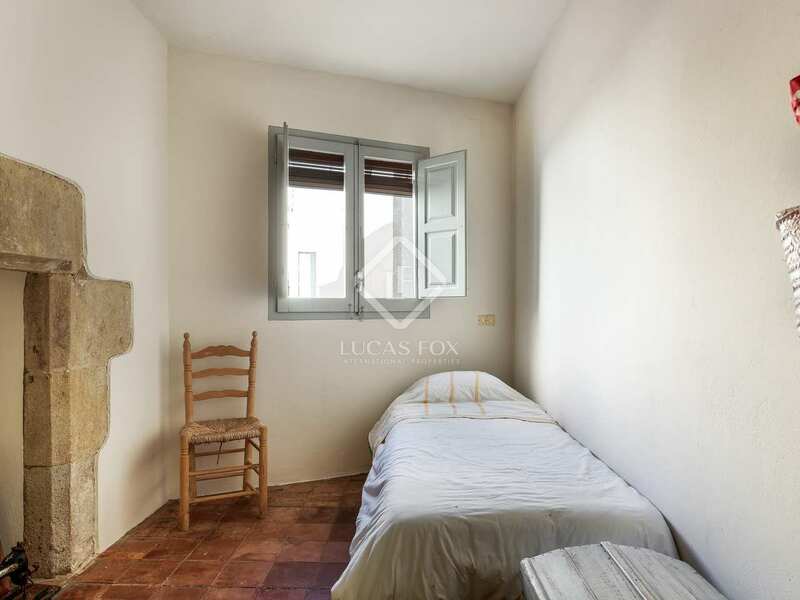 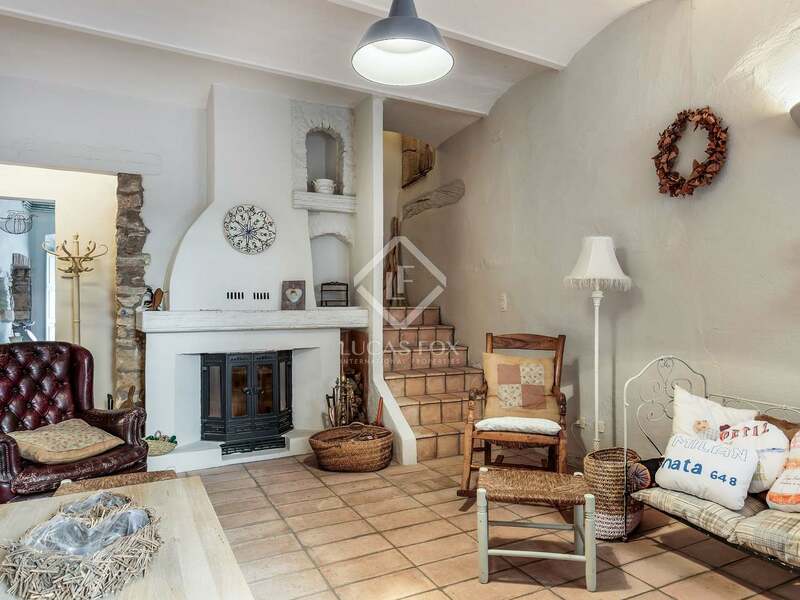 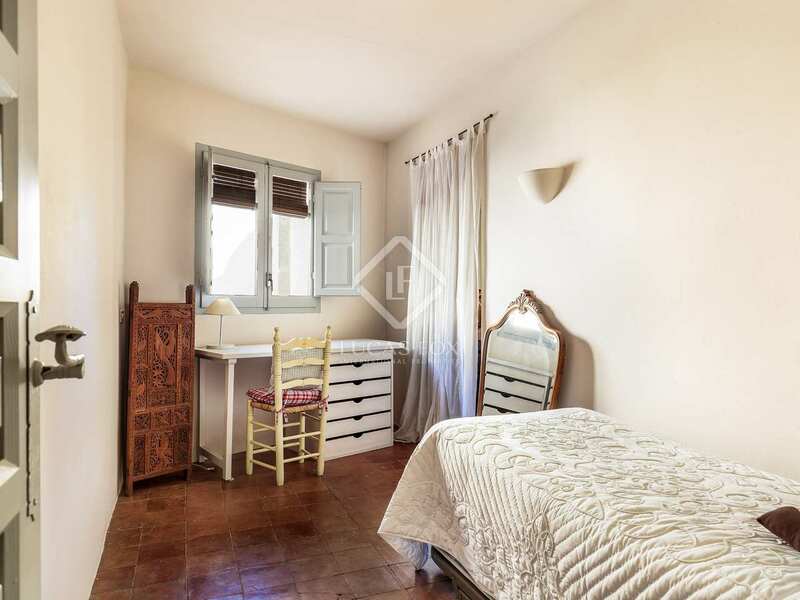 Great renovated 254 m² townhouse in the centre of Begur next to the church square. 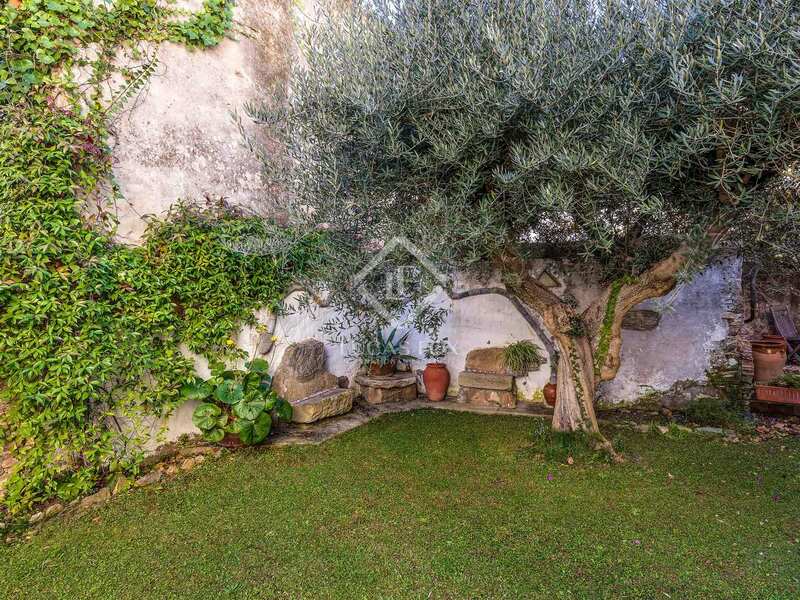 Lovely garden, terrace and plenty of privacy. 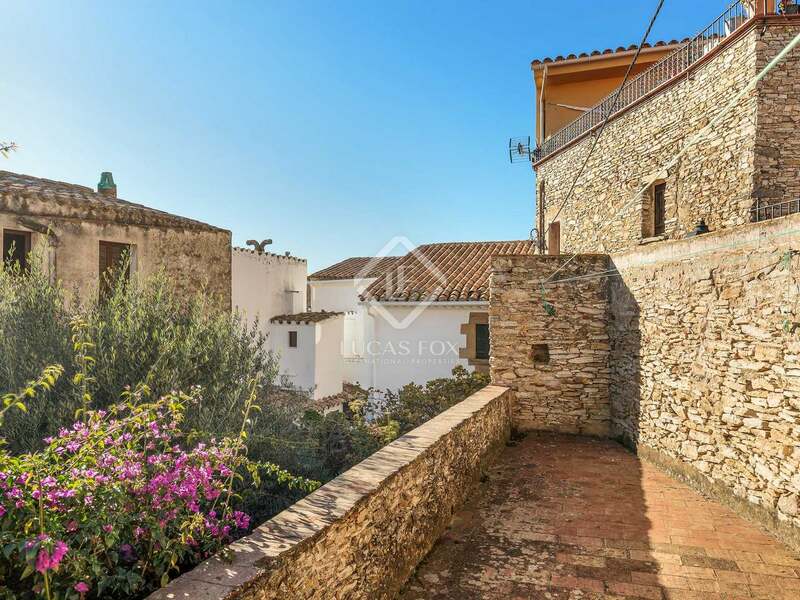 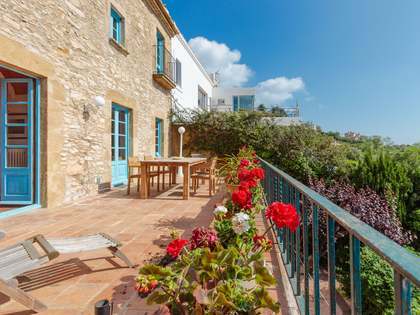 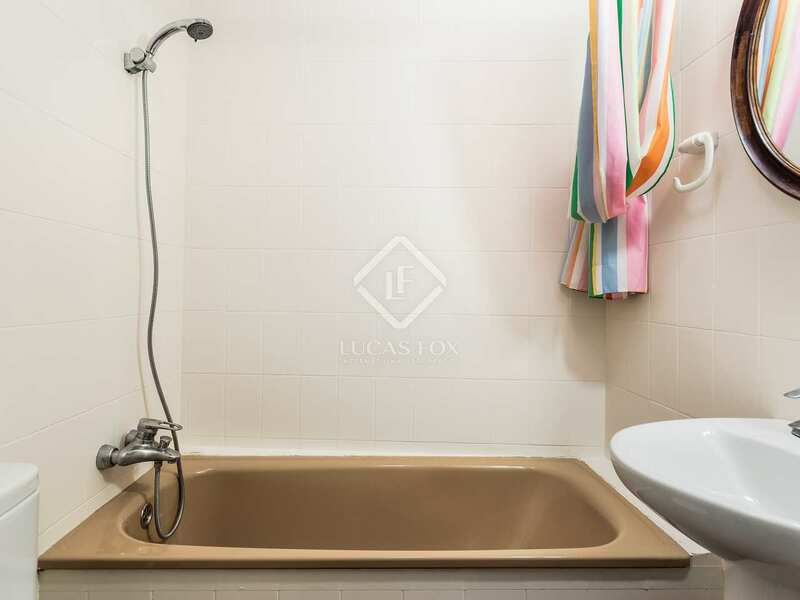 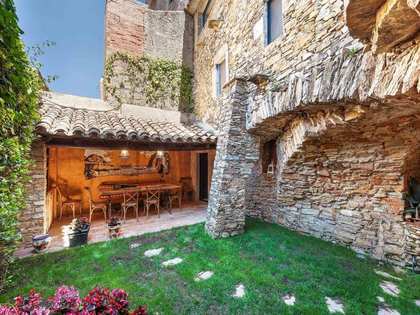 Here we find a very attractive refurbished townhouse distributed over 2 floors in the centre of the Costa Brava town of Begur. 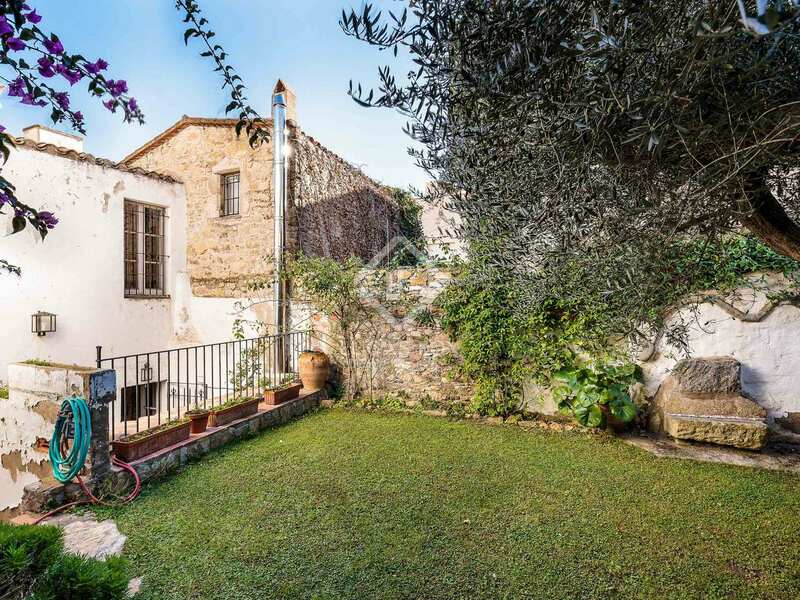 The property has a terrace and a lovely garden with a beautiful porch area where you can enjoy outdoor dining and entertaining in total privacy. 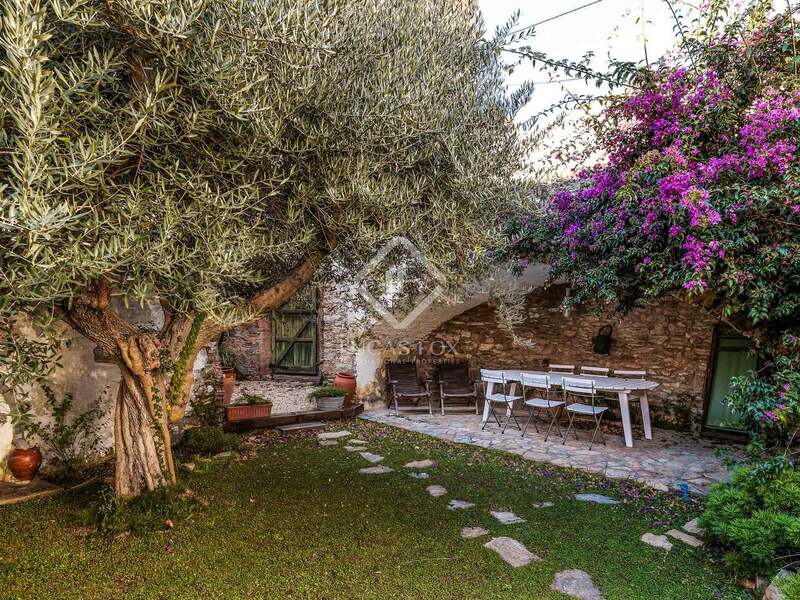 The garden has mature trees and a lawn area. 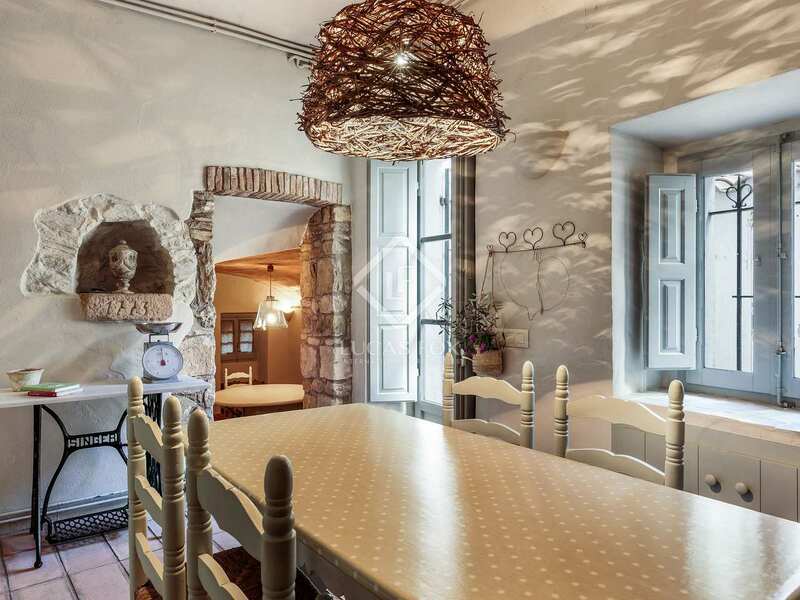 Built in 1951, the house was completely renovated in 2007. 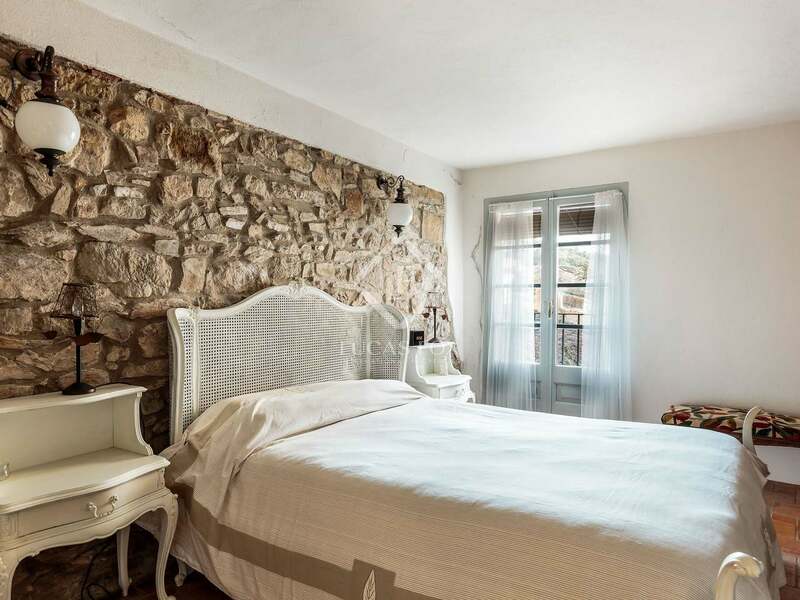 It retains many original natural stone period details in all rooms. There are oil heating radiators throughout. Entering the house via the front door, we find the main living room with fireplace, the fully equipped eat-in kitchen with direct access to the garden and the terrace, and an attractive living-dining room. 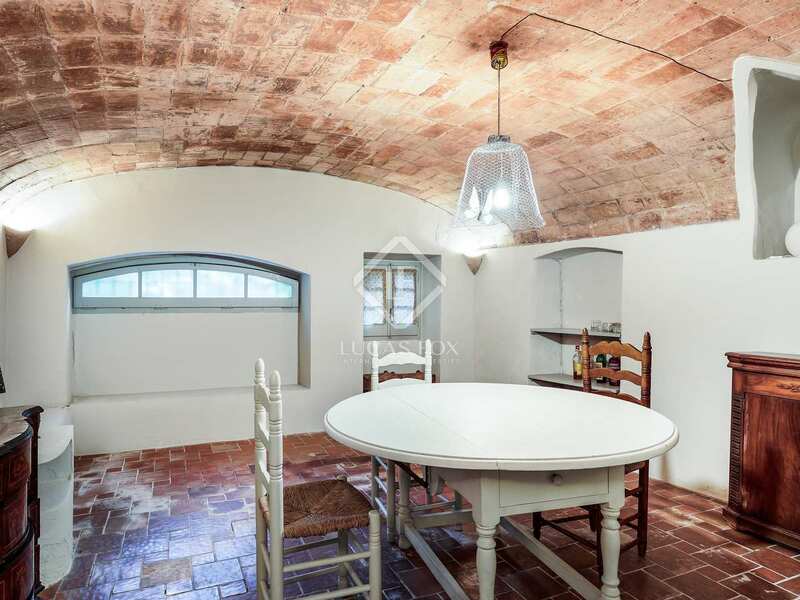 The machine room is also on this floor. 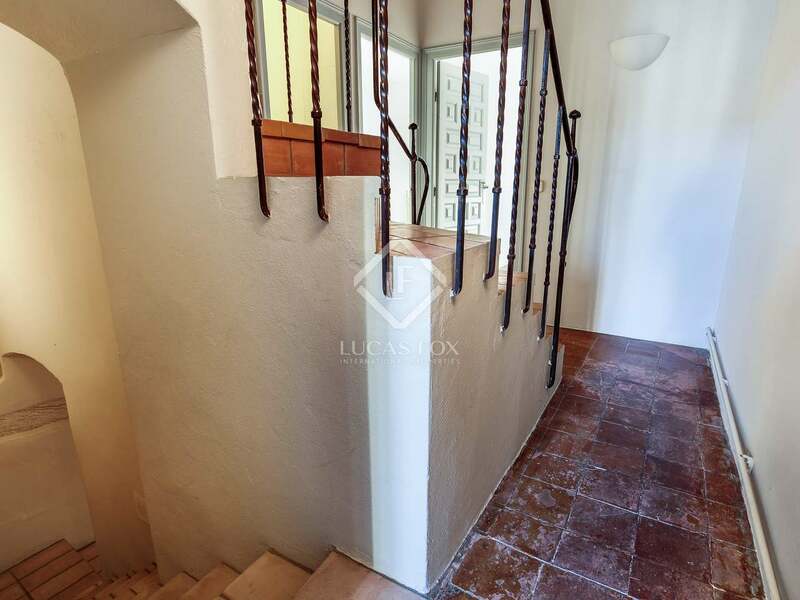 Stairs in the living room lead up to the first floor where we find 1 double master suite with a complete bathroom and bathtub, 1 double bedroom, 2 single bedrooms and 1 complete bathroom. 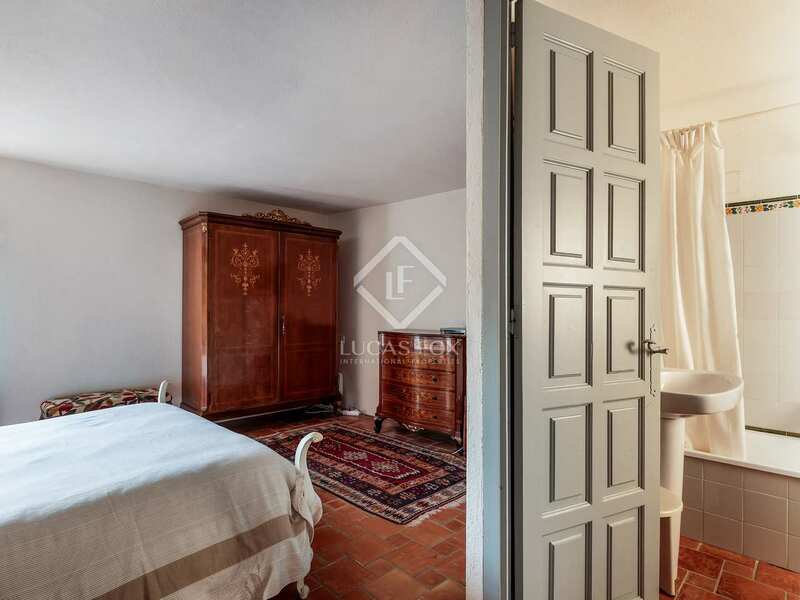 There is also another room that could be used as a games room or cinema, or converted into another double bedroom. 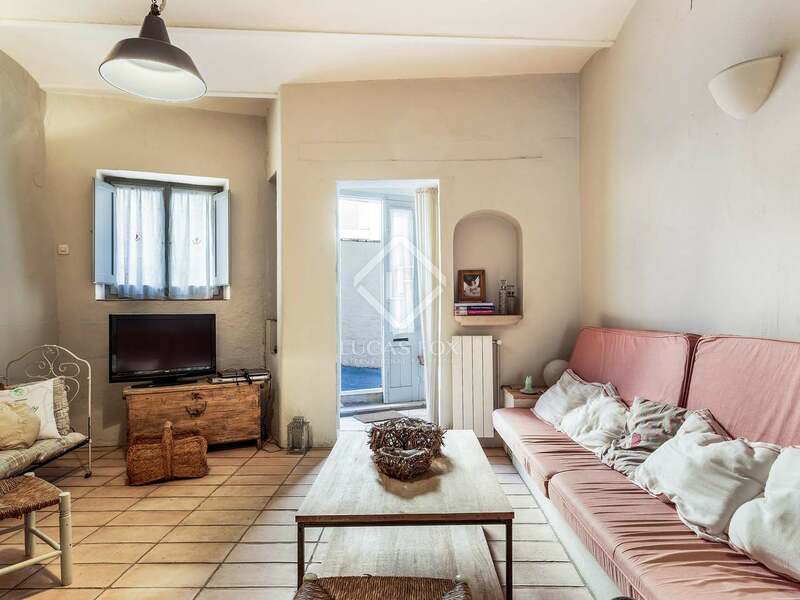 This property is an ideal second residence for families, and also as the first residence for families and retirees who want to live in a town that is very close to the best beaches in the area. 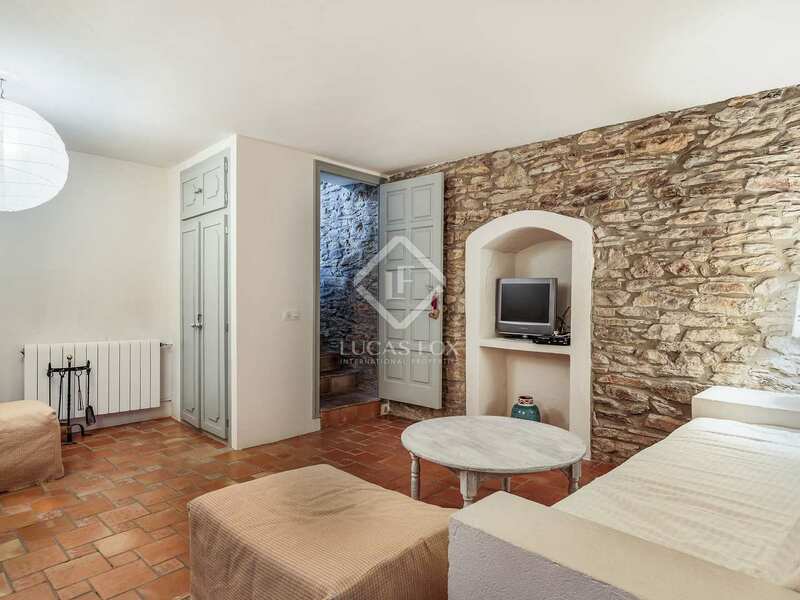 It represents a good investment and would also be a good option for tourist rental in summer, offering a significant rental yield. 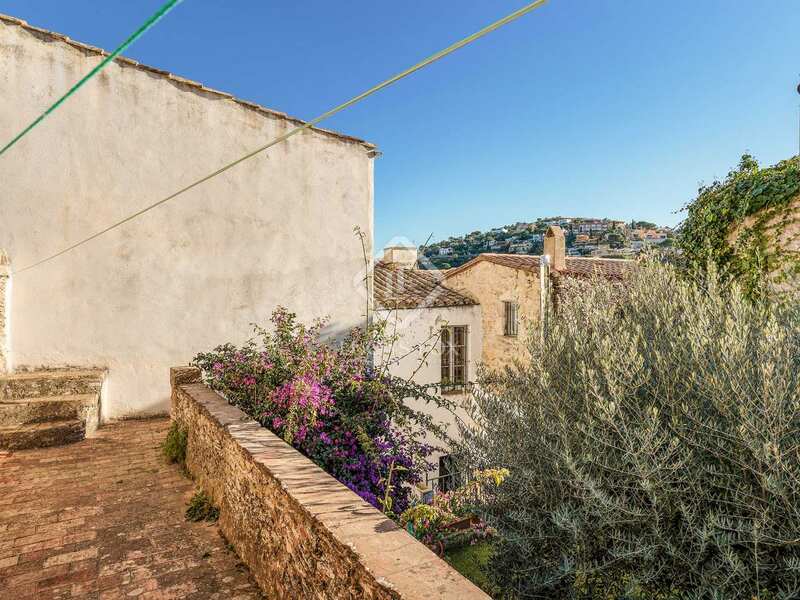 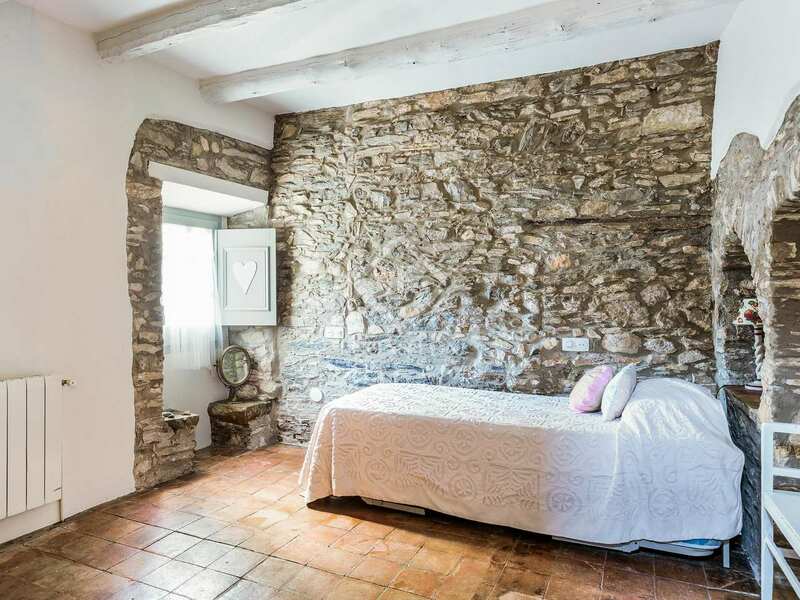 The house is located next to the church square in the heart of Begur, a town which is full of life all year round and offers all services (supermarkets, doctor, shops, restaurants...). 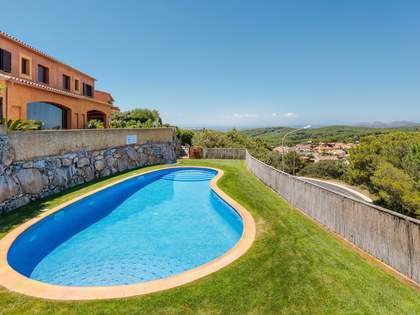 It is just 5 minutes by car from the best beaches on the Costa Brava, such as Aiguablava, Sa Riera, Calella de Palafrugell and Llafranc.